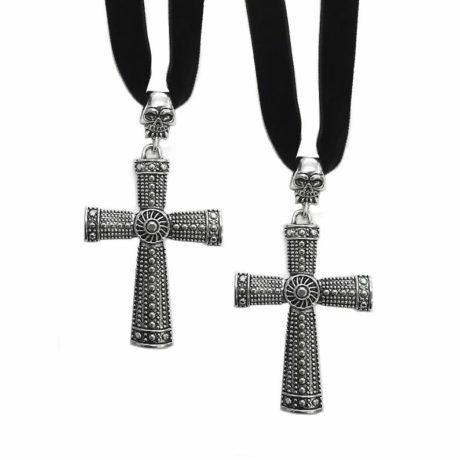 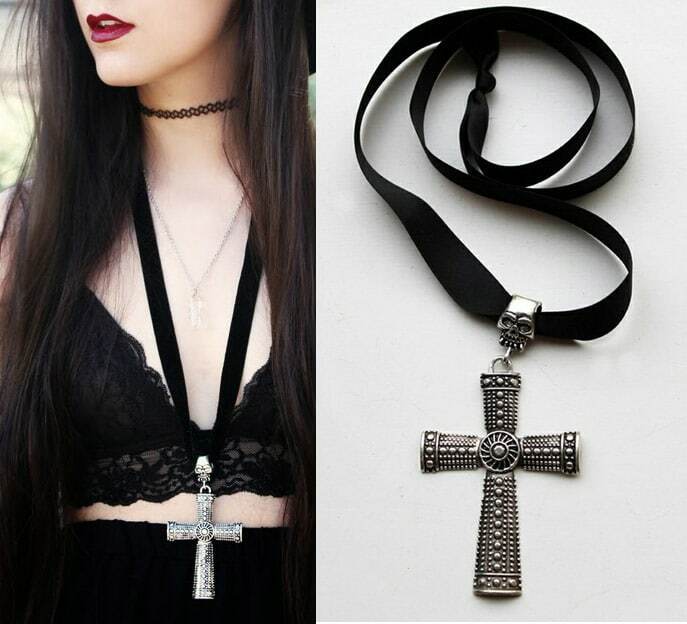 A gorgeous bold cross with a skull setting, hangs in a luxury black velvet ribbon. 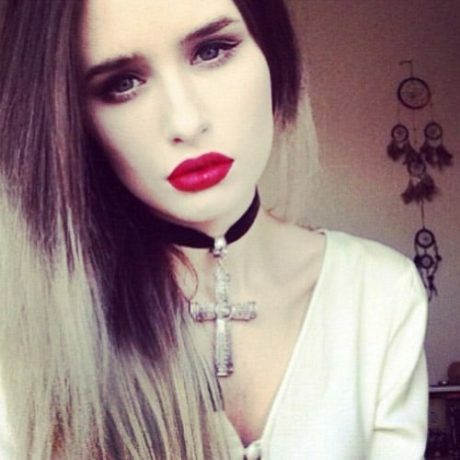 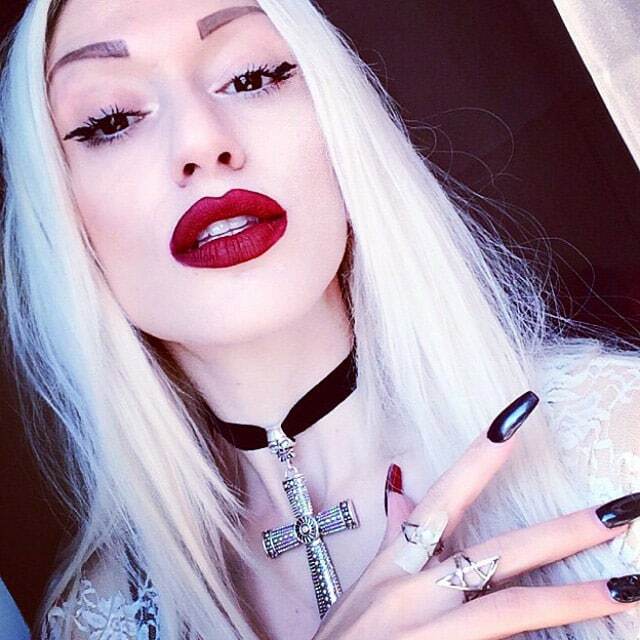 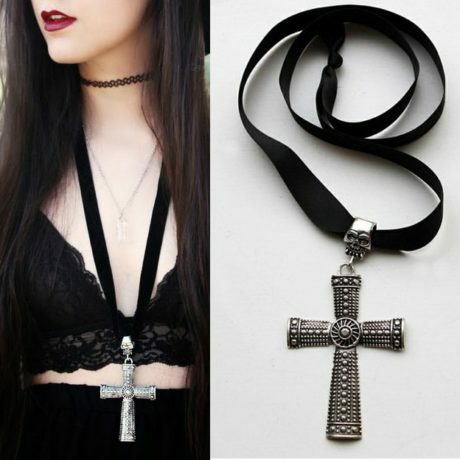 To be worn long lenght or as a choker. Ties in the neck. 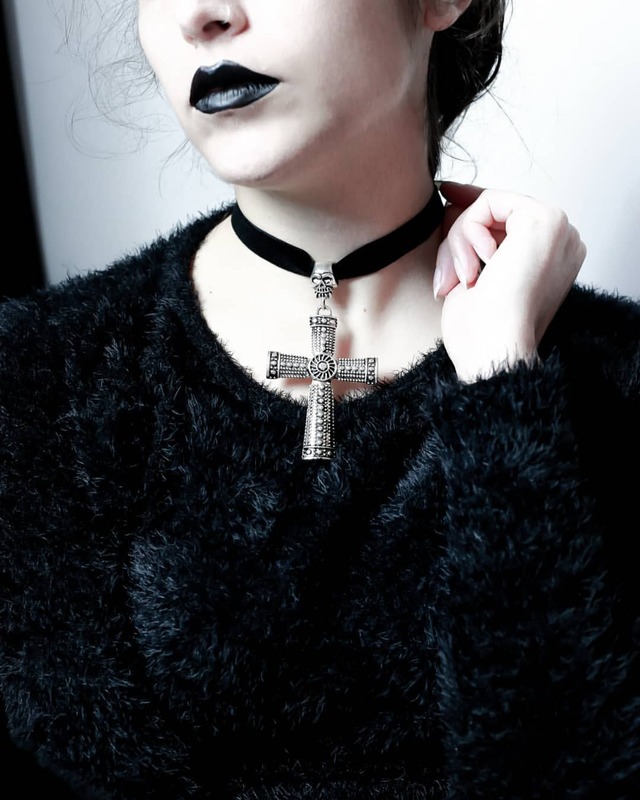 A true statement necklace that won’t go unnoticed.